enric ruiz-geli is a visual artist and architect who seeks to break down the barriers between construction, space and experimentation. 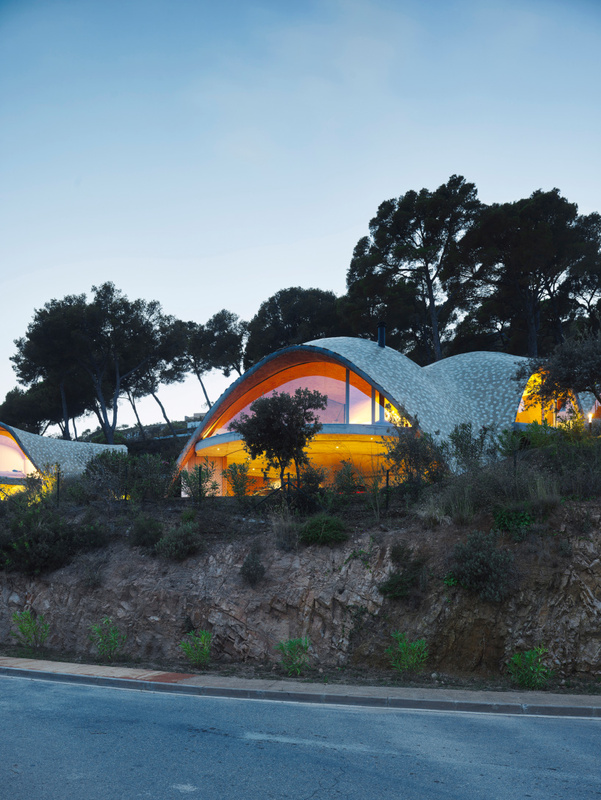 his professional career began in set and exhibition design, but since the foundation of his cloud 9 studio, ruiz-geli has turned his mind to the development of sustainable architecture projects and has become an international benchmark for innovation and architectural research, with multiple awards in his name. 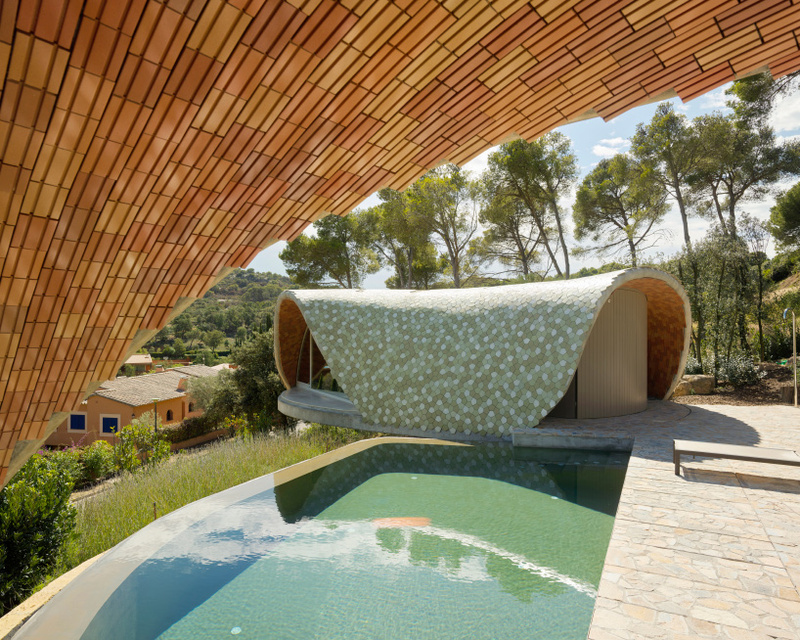 in aiguablava, a town on catalonia’s costa brava coast, architect enric ruiz-geli has constructed a house conceived as a ‘mediterranean case study’. the pilot scheme was built using the latest technological advancements as well as digital and sustainable manufacturing methods. 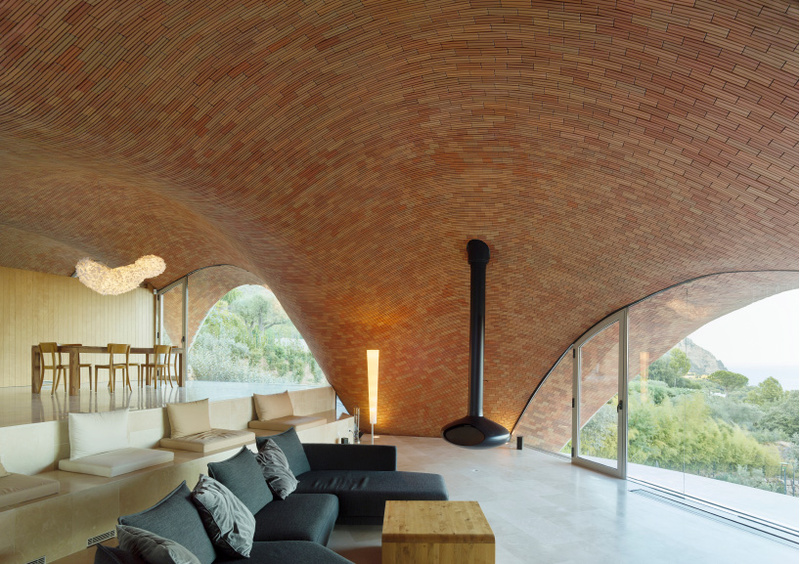 using advanced fiberglass engineering, the residence reinterprets the catalan vault — a type of low brickwork arch common to the region, which typically forms a vaulted ceiling. ‘the main aim of this project isn’t to design a villa, but to carry out a case study,’ explains the design team. elsewhere on the site, enric ruiz-geli’s cloud 9 studio has collaborated with california’s artcenter college of design to create an experimental pavilion that stands adjacent to the house. 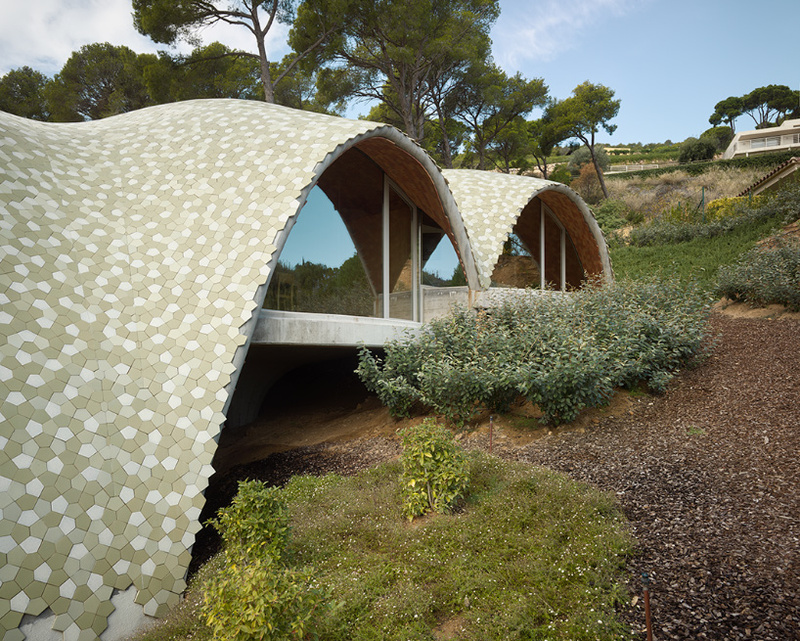 for both designs, state-of-the-art materials have been used to create lightweight and sustainable structures. ruiz-geli references architects such as richard neutra and the eames who helped to define this concept. in los angeles in the 1950s, richard neutra established a new form of construction with prefabricated parts and rapid manufacturing and assembly. this inspired a revolution, reducing costs and opening the market up to the middle class. charles and ray eames introduced aluminum as a material into the production process of prefabricated parts. 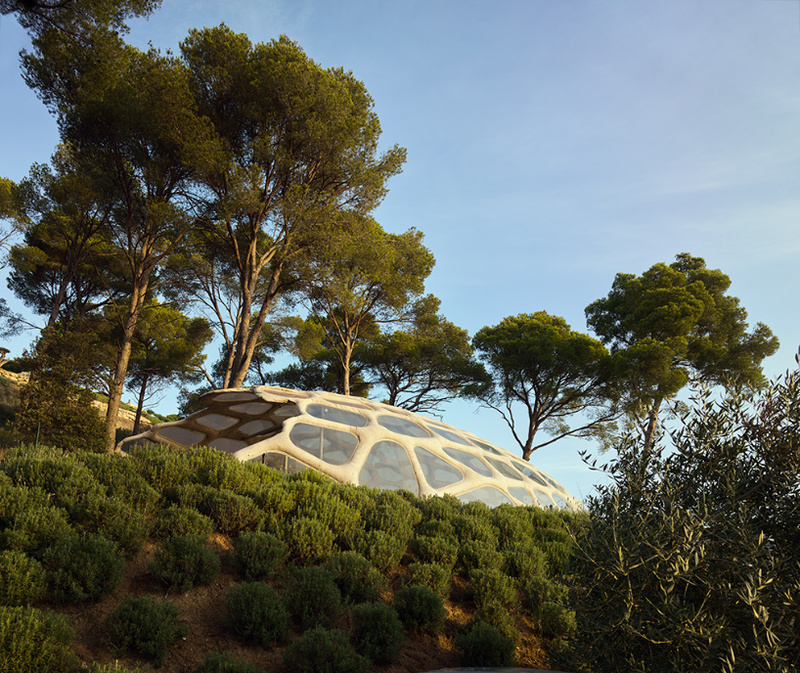 in a similar way, ‘stgilat aiguablava’ represents a pilot housing project based on a ‘smart’ version of mediterranean architecture. 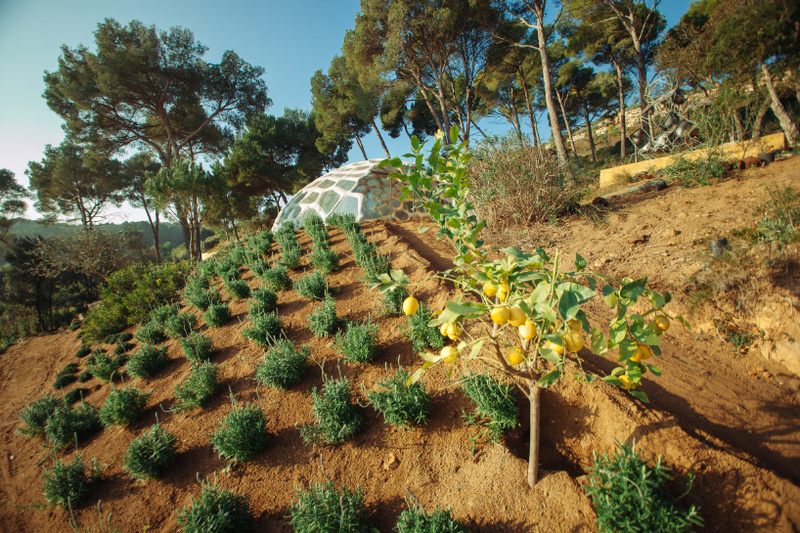 the project’s client is a european family who are passionate about the mediterranean culture and lifestyle, and whose priority was the project’s quality of architecture and promoting research, development, and innovation over luxury. with this in mind, ruiz-geli used a holistic approach, presenting a style of architecture that seeks to evoke sensorial experiences on every level. the catalan vault gives the main residence its structure — a large space, much like the region’s farmhouses, that defines the house’s interior. the vault is made of a material that works in compression, providing the house with great thermal mass — protecting the interior from external heat, while enabling the house to retain heat in the winter. it is also a highly porous material, providing dwellers with superior natural breathing conditions. the lightweight and energy efficient arches have been designed using a minimal amount of materials. 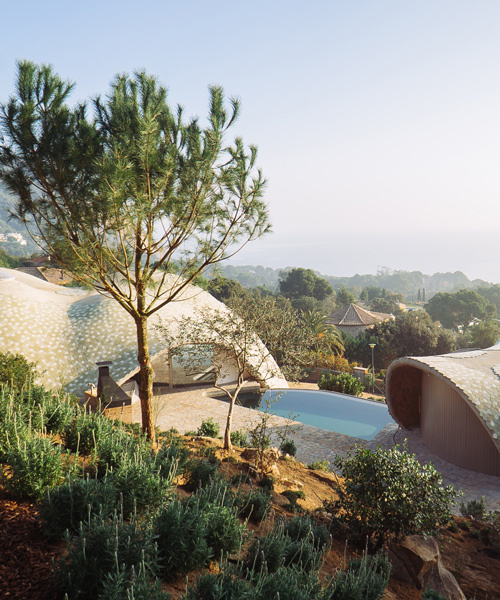 the vault’s fiberglass façade adds to the landscape by following the curves of the surrounding mountains. the green tones of the exterior ceramics are integrated with the natural colors of the area. inside, a special type of ceramic, crafted by toni cumella, has been designed to achieve high-level acoustics. 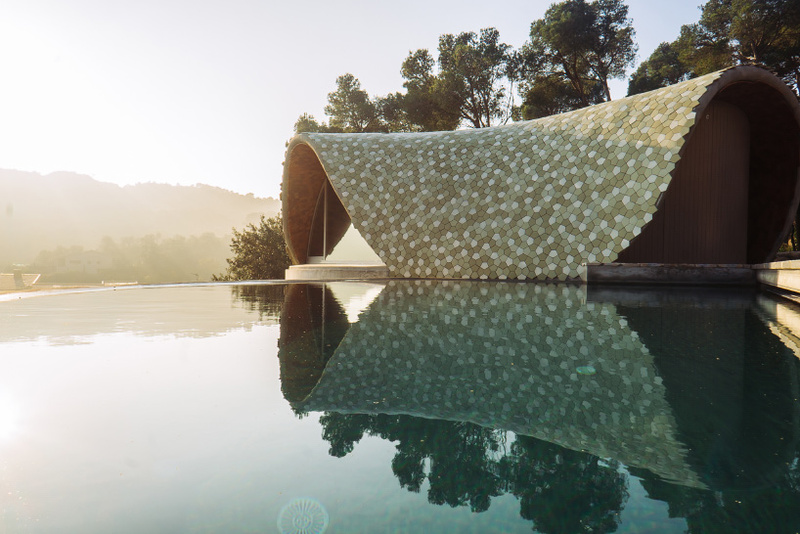 the project also includes an ephemeral and experimental pavilion, dedicated to innovation, and designed in collaboration with the artcenter college of design in pasadena, california. professors david mocarski, james meraz, jason pilarski and kenneth cameron visited barcelona with four of their students to oversee the construction. inspired by the surrounding pine trees, and designed based on prototypes, the pavilion is an inflatable scheme. 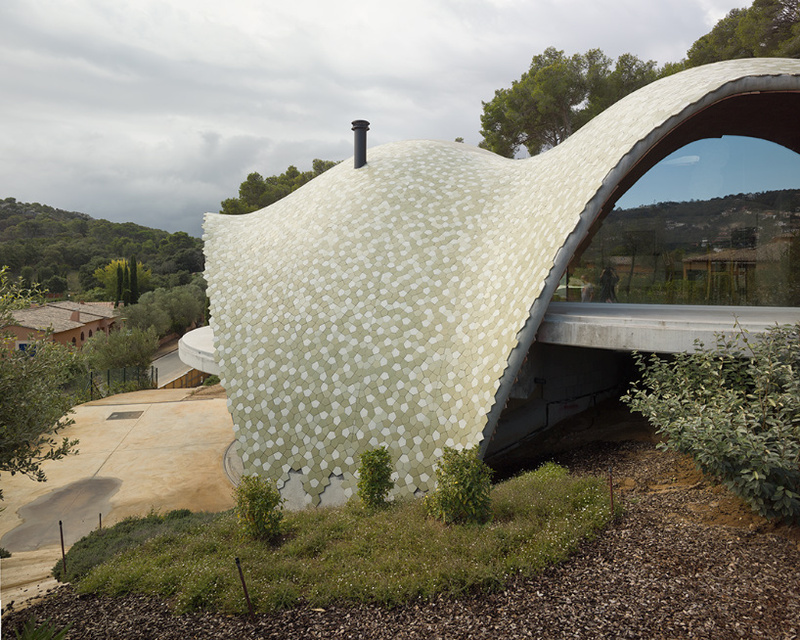 a smart, lightweight and ecological concrete is injected into the structure, giving it an organic shape.